Hell Yeah! 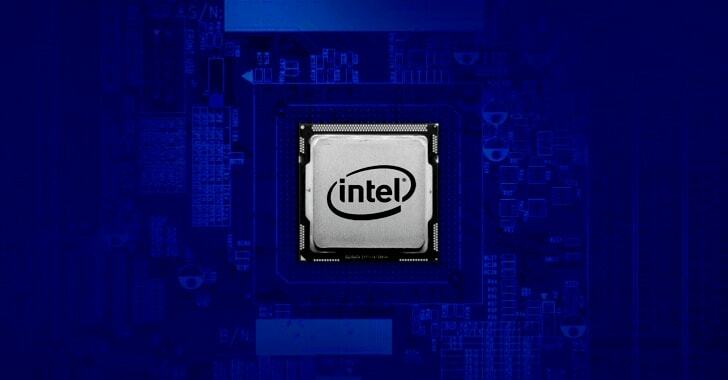 Another security vulnerability has been discovered in Intel chips that affects the processor's speculative execution technology—like Specter and Meltdown—and could potentially be exploited to access sensitive information, including encryption related data. Dubbed Lazy FP State Restore, the vulnerability (CVE-2018-3665) within Intel Core and Xeon processors has just been confirmed by Intel, and vendors are now rushing to roll out security updates in order to fix the flaw and keep their customers protected. The company has not yet released technical details about the vulnerability, but since the vulnerability resides in the CPU, the flaw affects all devices running Intel Core-based microprocessors regardless of the installed operating systems, except some modern versions of Windows and Linux distributions. "System software may opt to utilize Lazy FP state restore instead of eager save and restore of the state upon a context switch," Intel says while describing the flaw. "Lazy restored states are potentially vulnerable to exploits where one process may infer register values of other processes through a speculative execution side channel that infers their value." According to the Red Hat advisory, the numbers held in FPU registers could potentially be used to access sensitive information about the activity of other applications, including parts of cryptographic keys being used to secure data in the system. All microprocessors starting with Sandy Bridge are affected by this designing blunder, which means lots of people again should gear them up to fix this vulnerability as soon as the patches are rolled out. However, it should be noted that, unlike Spectre and Meltdown, the latest vulnerability does not reside in the hardware. So, the flaw can be fixed by pushing patches for various operating systems without requiring new CPU microcodes from Intel. According to Intel, since the flaw is similar to Spectre Variant 3A (Rogue System Register Read), many operating systems and hypervisor software have already addressed it. Red Hat is already working with its industry partners on a patch, which will be rolled out via its standard software release mechanism. AMD processors are not affected by this issue. Also, modern versions of Linux—from kernel version 4.9, released in 2016, and later are not affected by this flaw. Only if you are using an older Kernel, you are vulnerable to this vulnerability. Moreover, modern versions of Windows, including Server 2016, and latest spins of OpenBSD and DragonflyBSD are not affected by this flaw. Microsoft has also published a security advisory, offering guidance for the Lazy FP State Restore vulnerability and explaining that the company is already working on security updates, but they will not be released until the next Patch Tuesday in July. Microsoft says that Lazy restore is enabled by default in Windows and cannot be disabled, adding that virtual machines, kernel, and processes are affected by this vulnerability. However, customers running virtual machines in Azure are not at risk.